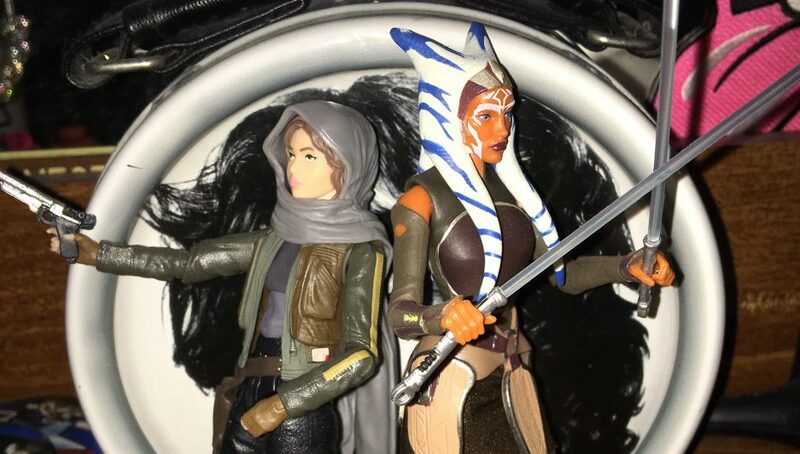 I’m still not totally over the Rebels Season 2 finale…what happened to my Ahsoka?! I personally subscribe to this little theory that Ashley Eckstein herself even considers. It’s the only one that brings me peace. Honestly, before this past season started, I had a reasonable fear that Ahsoka was going to die; after all, that’s the only way to justify her character not being in the movies (aside from our society’s tragic lack of time travel technology). But I was sincerely hoping she would last longer than she did; couldn’t they have waited until the series was nearing its’ end?! No, because I know that it’s supposed to focus on our main group of rebels: Ezra, Kanan, Hera, Sabine, and Zeb. And yeah, that’s pretty fair, I guess. I’m sure I’m not the only one who wants an Ahsoka show! But anyway, the day after the finale, Ashley Eckstein’s beautiful nerdy girl clothing brand Her Universe released a beautiful shirt designed by the creator of Ahsoka himself: Dave Filoni. Naturally, this sold out the same day it was released. I foolishly waited until the evening to place my order and missed out on the first batch, but luckily I wasn’t the only one; there was a huge demand for the shirt so a few days later, you were able to pre-order it for the next batch. Now I have it, and it’s no longer on the Her Universe website. I love it so much. Super cute, even though it’s actually a unisex fit (everybody loves Ahsoka), and so soft. Ignore my stupid face and admire my beautiful shirt!! Yup, still have to hang that…alas, I’m still working on the overall arrangement of my art collection. I can’t wait to show you whenever it’s all up on my walls!